The Florida Pawnbroker License is a $10,000.00 bond. This bond is available in 1, 2, or 3 year terms. By posting a Florida pawnbroker surety bond, principals (pawnbrokers) pledge not to violate any terms found in 539.001-539.003 of the Florida Statutes, which is also referred to as the Florida Pawnbroking Act. If the pawnbroker fails to adhere to these terms and does not perform services as contracted, the bond protects harmed parties from financial loss. What is Pawn Shop License Bond in Florida? 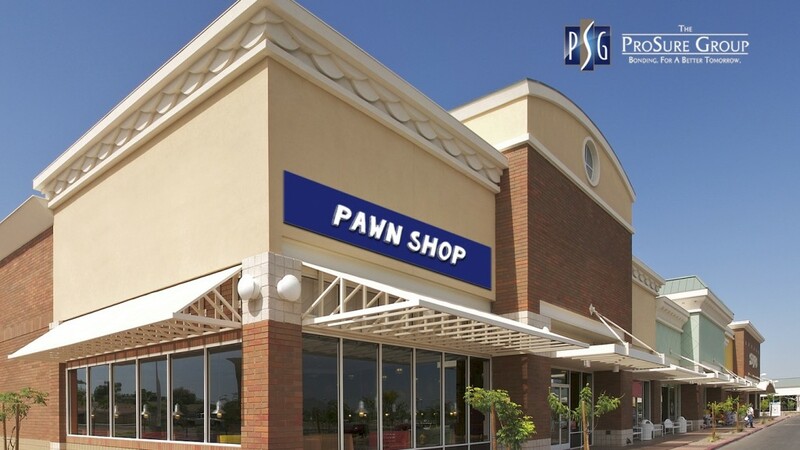 Pawnbroker bond is a type commercial, license bond or permit bond that guarantees compliance with law and regulations governing the operation of pawnbrokers business in the state of Florida. A pawn broker essentially offers their customers high interest, short-term loans with items of personal property used as collateral. The surety bond guarantees that the pawn broker will not sell the personal item before the end of the contractual period, that they will honor the sell back price and interest cost agreed upon, and that they will not charge more interest than statutorily allowed. In the State of Florida, Pawnbrokers are required to obtain a $10,000 Pawnbroker Bond to be in compliance with the Florida Statutes. The Florida pawnbroker bond is also known as: Florida pawn bond, secondhand dealer bond, pawn dealer bond, pawnshop dealer bond, and pawnshop bond. How much does a pawn shop bond cost in Florida? These bonds are subject to underwriting, so the amount you’ll pay is based on a review of your personal credit report. Applicants with strong financial credentials could pay a really low amount!. Bad credit? Don’t worry! The experts at The ProSure Group can get you the bond you need quickly, easily and accurately. Request a free bond quote now! Many companies offer the pawn shop license bond in Florida, but by contacting The ProSure Group, you can be sure you’ll be getting the best price available, not to mention our stellar customer service and insider knowledge of the industry. We’ve been helping dealers get bonded for more than 22 years. Let us put that experience to work for you today! Call us now at (800) 480-3883 for a free quote and we will contact you within 24 hours. We can assist you over the phone to ensure you receive your bond quickly and easily! Don’t have time to speak on the phone? Please fill out our easy online application. We can get you started right away!